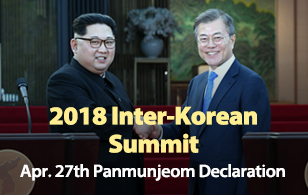 U.S. President Donald Trump has welcomed reports that North Korea has begun to dismantle a key missile testing site in line with an agreement the regime’s leader Kim Jong-un made at their historic summit last month. U.S. Web site 38 North reported on Monday that commercial satellite imagery from last week shows facilities being dismantled at the Sohae Satellite Launching Station in North Pyongan Province. 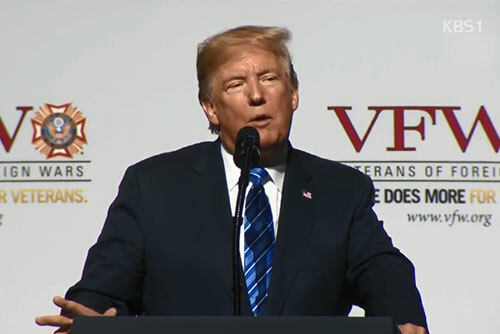 Speaking at a national convention of the Veterans of Foreign Wars in Kansas City, Missouri on Tuesday, Trump said that Washington appreciates that Pyongyang has begun the process of dismantling the site. The president added that he hoped the remains of U.S. soldiers killed in the Korean War will return home soon. Following his June 12th summit with Kim, Trump told a news conference that the North Korean leader had promised that a major missile engine test site would be destroyed very soon. The Sohae site has served as the North’s main satellite launch facility since 2012.